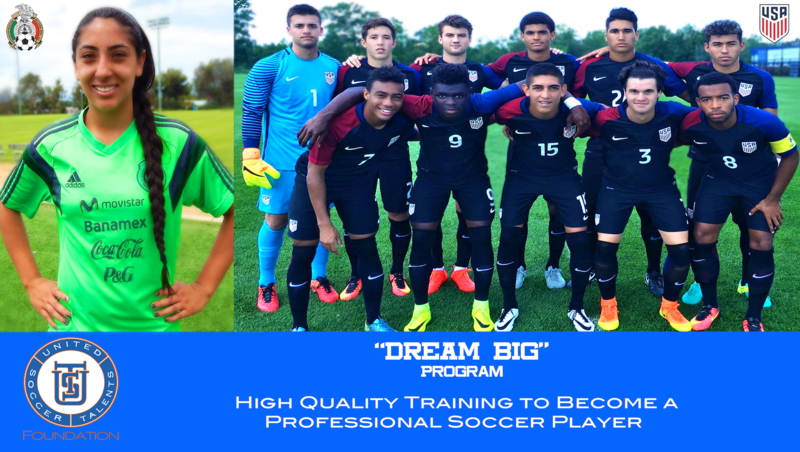 This program is one of its kind, we have worked for many years to maintain a great relationship with players, training coaches, directors, and professional team owners in various countries. Thanks to them our players receive invitations to be seen by the professionals and show their talent. The try-outs are personalized, inside the teams’ premises and with their main teams. The talented youth are treated with respect and are given full trust and support; so they can give their full potential in the field, all in the hopes to get them to sign professional contracts with these great institutions. In order for these young players to be able to compete at their maximum level, it is necessary for us to prepare them physically and mentally. This is why they have trained with specialists in the field as in the classroom, they must learn to face their biggest fears and be able to have self-confidence within themselves. The players in this program become great samples to be looked up to. They carry the message that if someone proposes a goal, for the most difficult it may appear to be. It can be accomplished based on hard work, dedication, and skills earned in our program. Thanks to the program “Dream Big” the youth transform their personal lives, their families, and they are a great sample and motivation for the whole community to follow.